Take your Easter basket to a new level with these fun, creative Easter egg ideas! Most of the products that were used to create these unique and interesting Easter egg designs can be found right in your kitchen cupboard. Need some help boiling eggs? Check out this post on how to make the perfect hard boiled egg. 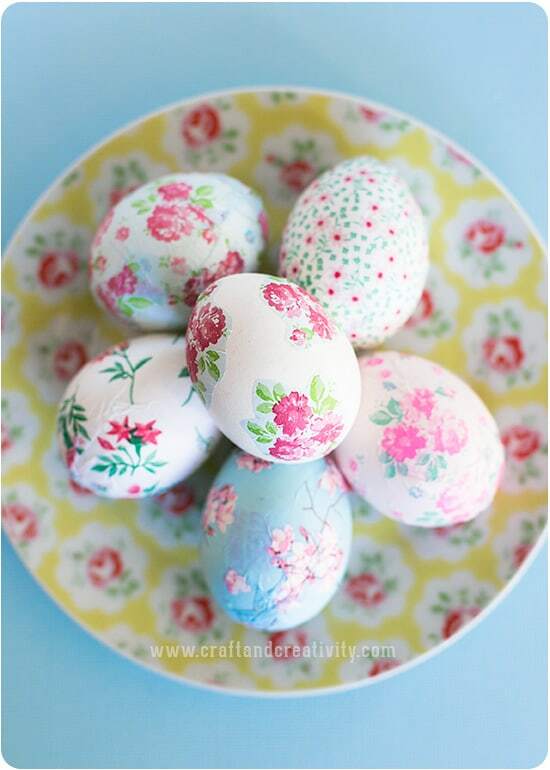 I think you will agree these are the most creative Easter egg decorating ideas! Did you know you can ditch the kit and still get bright easter eggs? You won’t believe how easy it is to color eggs with items found right in your pantry! Food coloring gives the most beautiful vibrant colors. Follow these easy tips and tricks for amazing dyed eggs. 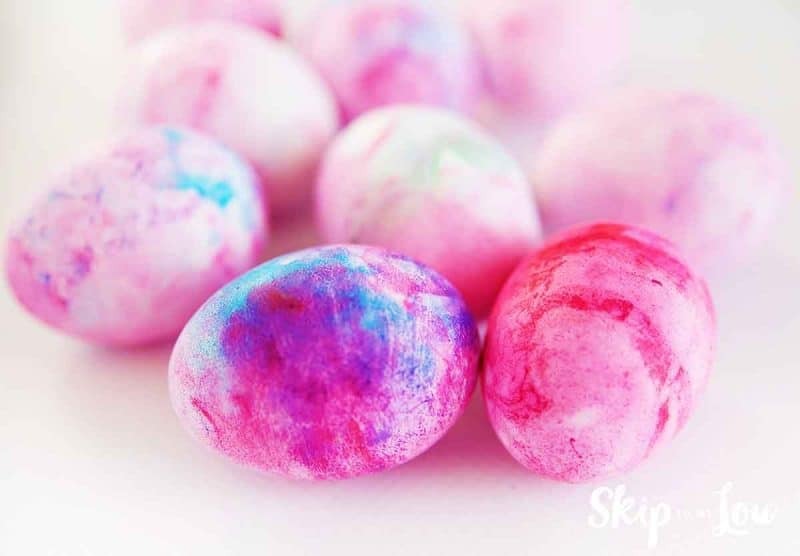 DIY Shaving Cream Easter Eggs are an amazing variation on dying boiled eggs with food coloring. I had never heard of this method of egg decorating before we tried it! This is really easy and it turns out very cool – kids love to swirl the colors. How about skipping the dye and creating an heirloom that can decorate your home year after year. 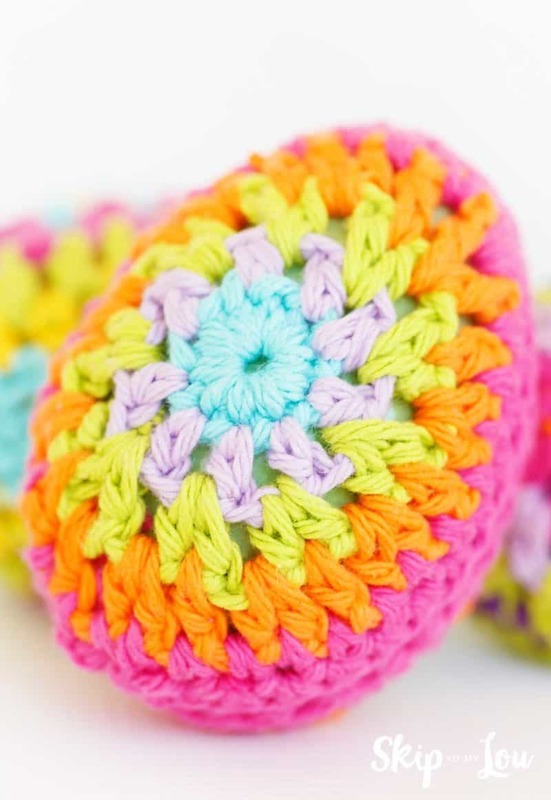 These crochet Easter eggs are stunning and easy to make! Cool Whip Dyed Easter Eggs look similar to the shaving cream, but it’s nice to use what you have on hand or try both and see how they turn out. Marbleizing Eggs with Nail Polish creates very unique results! This is such a neat way to use old nail polish. 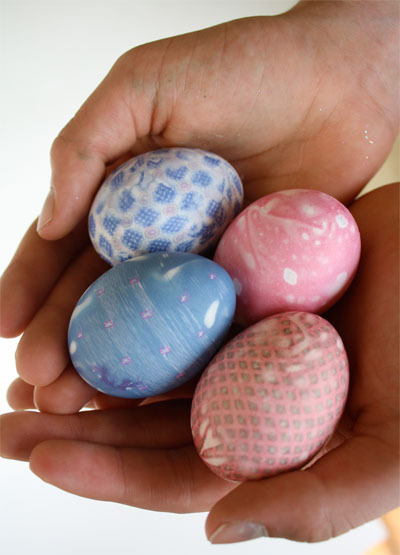 With Silk Tie Dyed Easter Eggs, you actually use old fabric to dye these eggs, and the result is so fun and totally unusual. Kids love unwrapping these to reveal the intricate dye-transfer patterns from old silk ties. 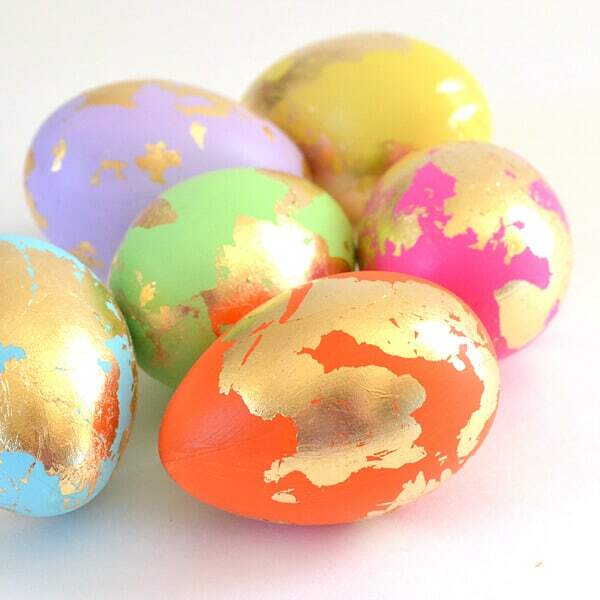 Metallic Eggs are a fun way to make the kit dye a bit more creative – very easy too! 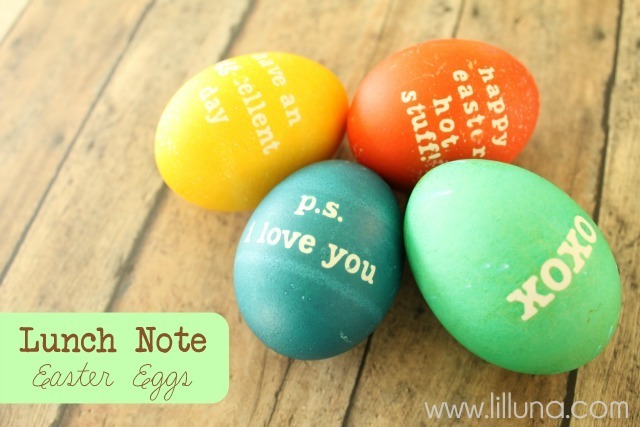 Easter Egg Lunch Notes – I love this charming idea! Throw a high protein snack in with a surprise message for lunch. Rubber bands create a fun design. This resist technique will amaze kids. Just like rubber bands, hot glue can also create an interesting resist technique. Who would have thought Mod Podge and napkins could create such sweet eggs. Chalkboard Easter Eggs are another cute and simple way to customize eggs with drawings and writing. 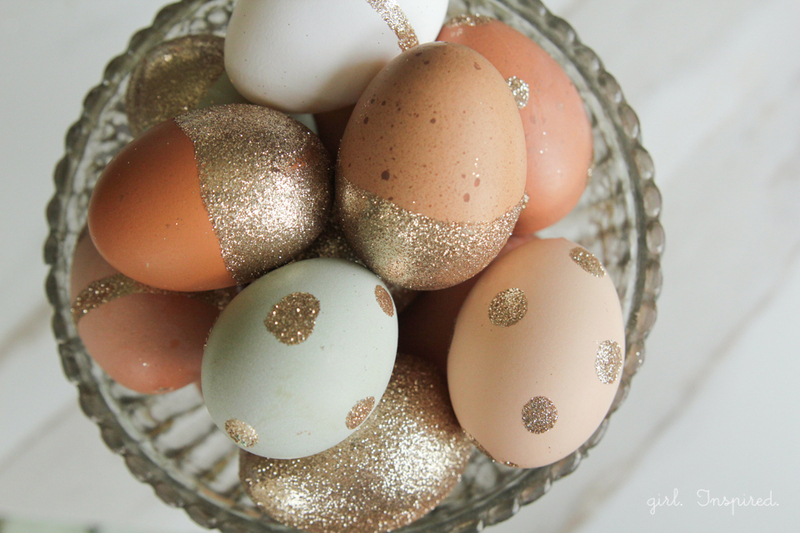 Glitter and Gold Easter Eggs are so eye-catching and they look gorgeous with brown and other natural egg colors. 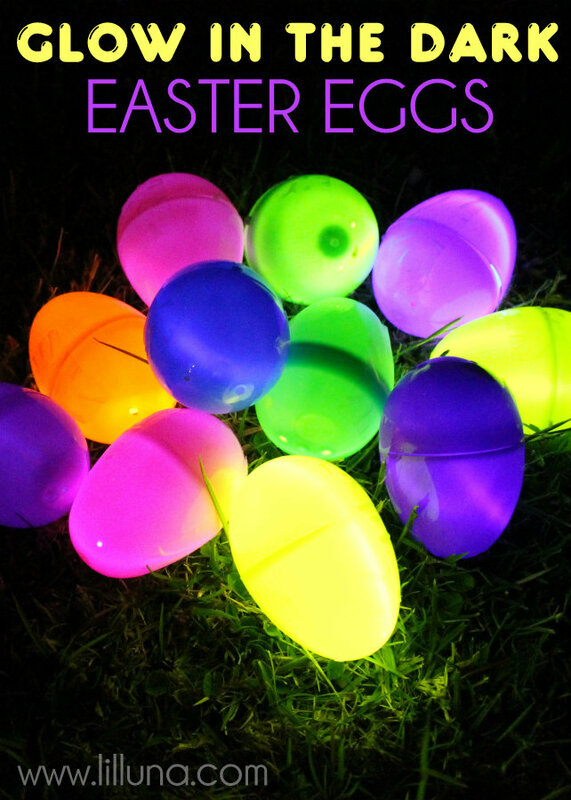 Glow in The Dark Egg Hunt – Bring your egg hunt to a whole new level with glow-in-the-dark Easter eggs! No dying required with this activity. We have to try this one. How about yarn covered eggs? 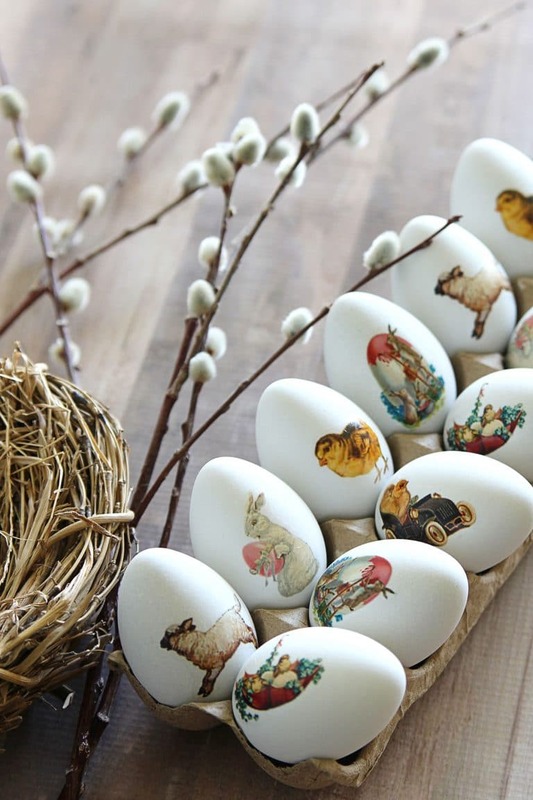 A little yarn turns plastic Easter eggs into cute little bunnies and chick! 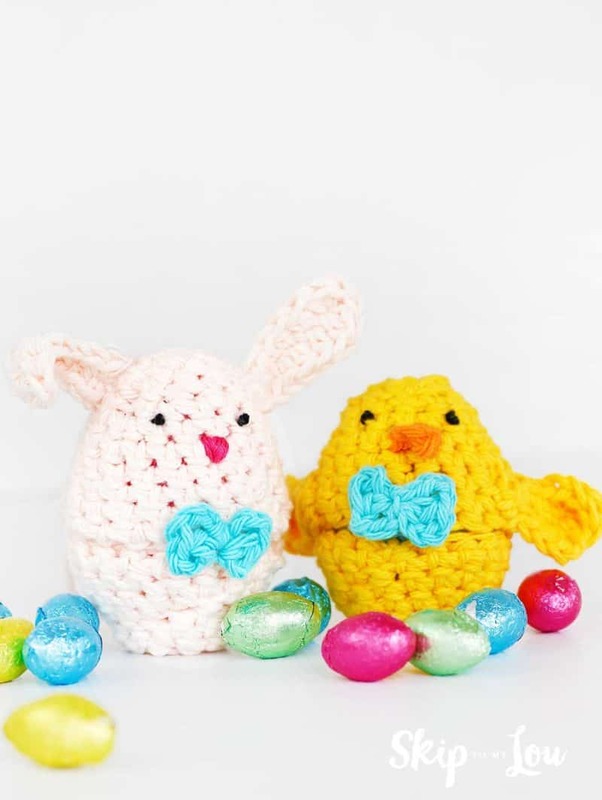 Check out these crochet bunny and chick egg cover patterns. I love adding items to the egg from glitter, tape to sprinkles the sky is the limit. 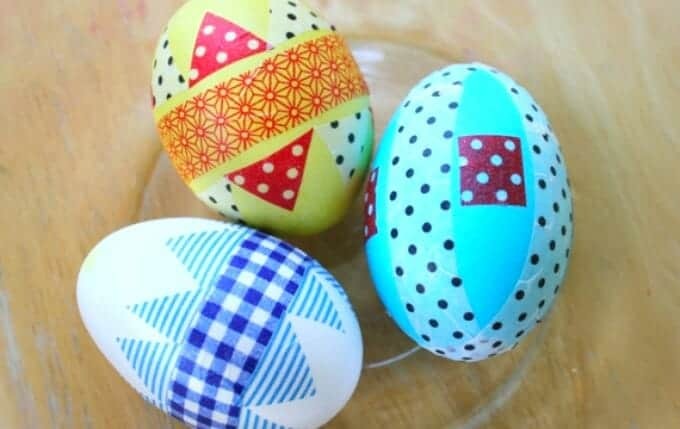 A bit of washi tape makes cleverly decorated eggs without the mess. 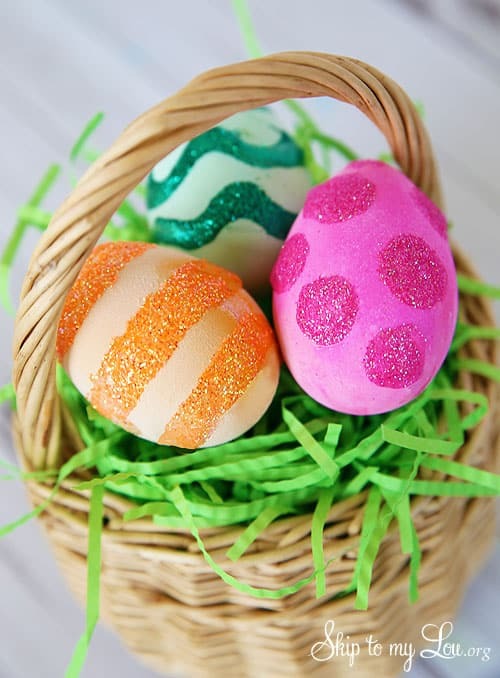 Glitter Dipped Easter Eggs is a fun idea for adding a little sparkle to your Easter egg decorations. Because eggs are not edible using this method, we blew them out to dye only the egg shells. 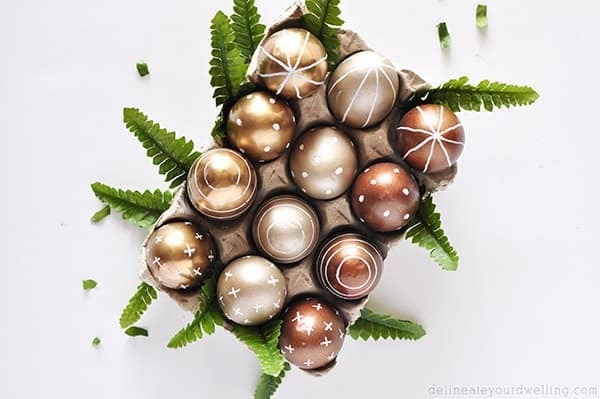 You can use them year after year as pretty decorations this way! 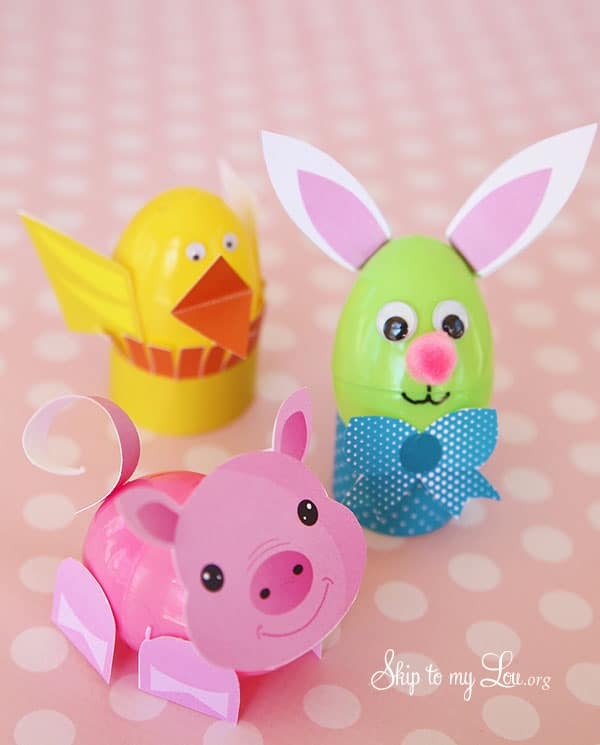 Printable features turn plastic eggs into chick, bunnies and even a pig! No egg dyeing needed here. If you love fancy try gold leaf. How pretty are these abstract eggs? This non-mess technique using temporary tattoos has lots of possibilities. Find tattoos with cartoon characters and superheroes to make fun eggs for kids or go vintage and make the beautiful eggs to decorate your Easter table. How long do I boil eggs for Easter egg decorating? To boil eggs for decorating, place eggs in a large pan and cover with about an inch of water. Bring the water to a boil and let the eggs boil for 1 minute. Then remove from heat and let large eggs sit in the hot water for 15 minutes. Medium eggs only need to sit in the hot water 12 minutes (longer doesn’t hurt them, but it can make the yolks go a greenish color and have a firmer texture). Extra large eggs need about 18 minutes. How do you make the best dye for Easter eggs? You can dye eggs with ordinary food coloring. Add about 20 drops of food coloring per cup of water, more if you want extra intense color. To get the most out of your dye, add a teaspoon of vinegar per cup of water with dye. 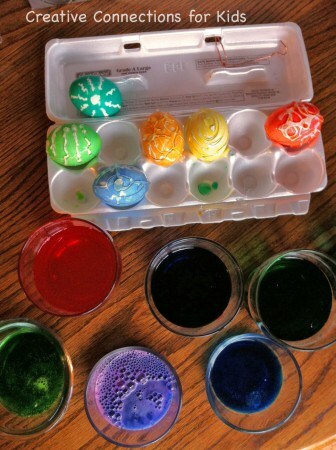 Coloring eggs in vinegar helps the dye bond to the eggs shells. If you don’t use vinegar, the colors will be pretty muted. 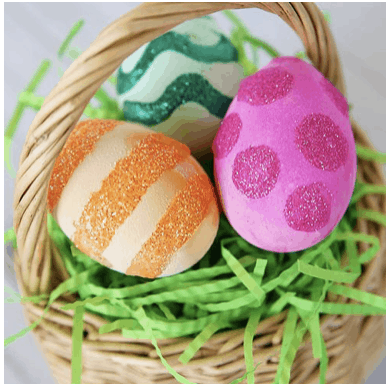 You can also use gel food coloring found in craft stores for vibrant Easter egg designs. What paint do you use for Easter eggs? Try painting eggs using watercolors or acrylic paints! The paint can be applied in drips or strokes for unique effects that you can’t replicate with dip-dying. It’s good to have drop cloths, old smocks or shirts for children to wear, and lots of old newspapers or paper towels on hand. Dyes and paints can stain clothing and furniture. If the weather is nice, try setting up your egg-dying station outside! 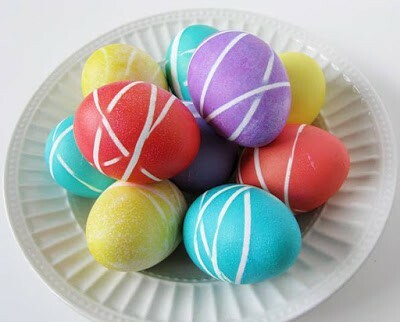 Decorating eggs is a nice way to celebrate spring with kids. Eggs represent new life and symbolize rebirth. Why do you decorate eggs for Easter? 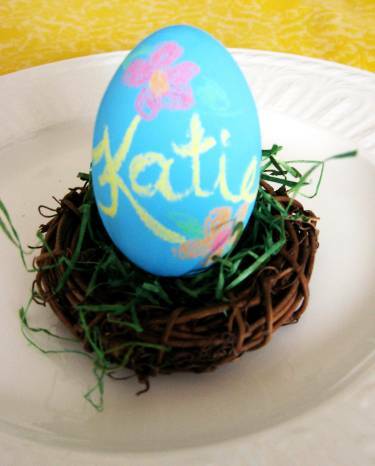 Using a white crayon, add pretty zigzags and polka dots, or names to personalize your Easter eggs. 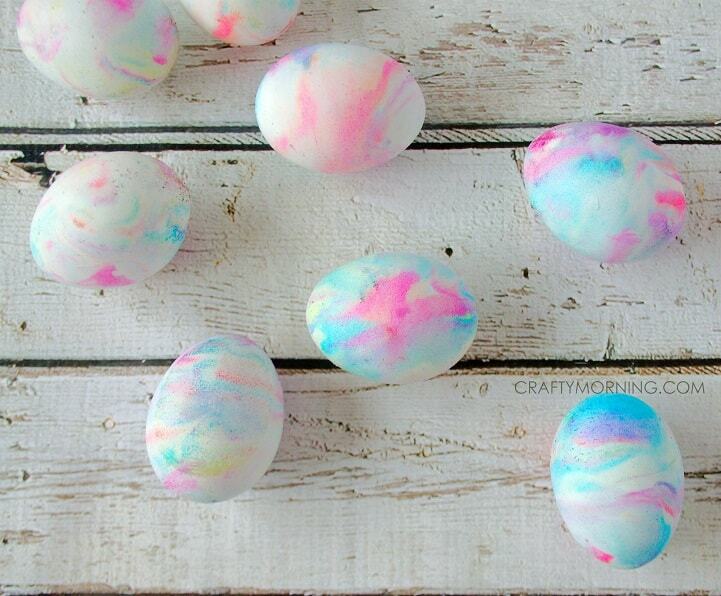 Cool whip dyed Easter eggs are so much fun for little ones who like to play with whipped cream. They are safe to eat and the whipped topping is, too. Have you ever blown out an egg? This idea will allow you to create a collection you can use every year in a festive decoration or holiday table centerpiece. We like to make a variety of Easter egg decorations and mix them all together in the brightest, most festive baskets. How do you like to color your eggs for Easter? I love hanging my eggs on an Egg Tree. Its a very creative Easter eggs and egg decorating ideas are way more fun than that. Thanks for sharing these ideas. 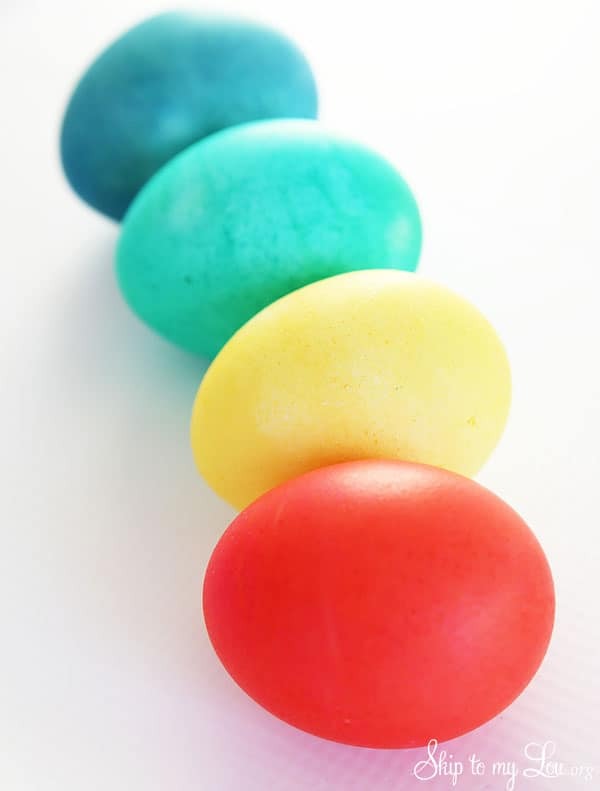 I think I'd be afraid to eat any eggs dyed with other than food-safe type dyes! Nail polish, e.g., some of the chemicals could be absorbed through the shell - would you want your child to eat nail polish? - or shaving cream? and when you shell the eggs? you are handling nail polish - so may have bits on fingers after cracking shell....NOT HEALTHY alternative in my book. Appreciate the ideas, but I highly recommend sticking with FOOD SAFE dyes or make sure that whatever method you use is FOOD SAFE. 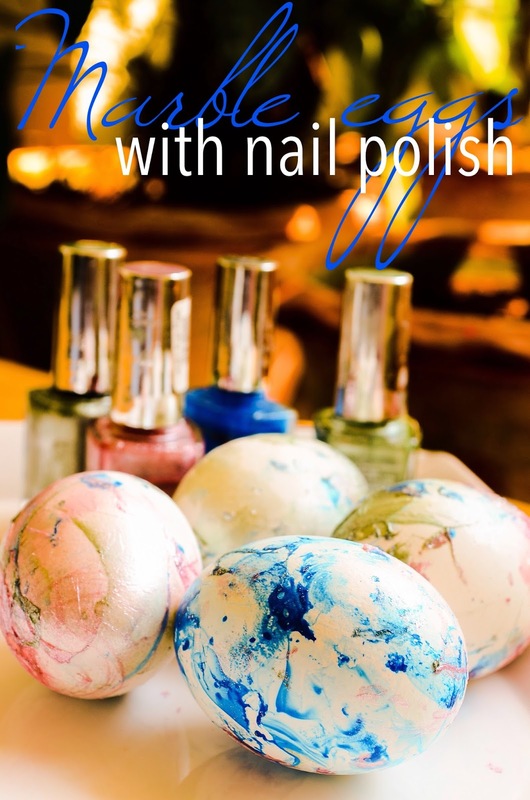 Thanks for featuring marble eggs with Nailpolish ! Love the other ideas too!